It’s fun to head over to the popsicle place and pick out a flavor, but I also enjoy making my own pops at home. I can control what goes into them, making them healthy and lower-sugar, and they’re much more economical. Plus, I’m always a hero to my kids and family when I pull these treats out of the freezer. This spring and summer, why not try making some delicious, healthy popsicles for your own family? 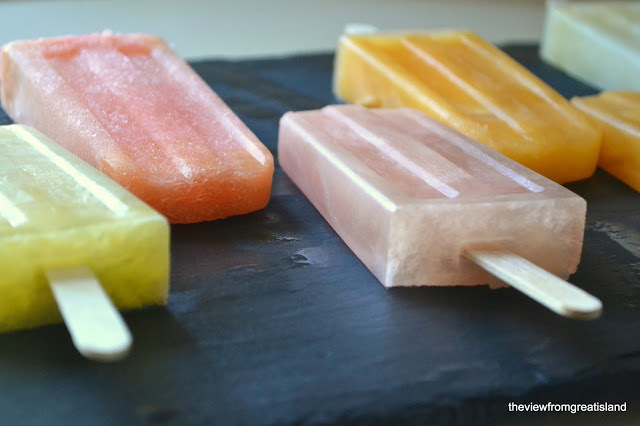 Citrus-based pops are a great and popular choice. The fresh, bright flavors of orange, tangerine, and grapefruit works perfectly for frozen treats, and citrus’s natural sweetness and high vitamin C content also make it a great choice. We’ve done some research and found some recipes you’ll love. First, though, a quick word about equipment: I started off with a super-cheap “no-name” plastic mold I picked up at the grocery store one day. It was very frustrating to use—the pops always got stuck. Next, I moved on to a higher-quality set much like this one that worked better. However, it kept sliding out of my freezer, and when it hit the floor, pieces would break off. Finally, I graduated to unbreakable silicon molds like these that the pops slide out of easily. This is working well for me. My one complaint is that the popsicles don’t have sticks and aren’t quite as “cute” and classic-looking as some you might see photos of. If you want that look, try a pop maker like this one. With the “equipment talk” out of the way,” we’re ready to get frozen! Here’s the simplest variation: just orange, tangerine, grapefruit, or any other kind of citrus juice, with the potential addition of a little simple syrup if your juice is a bit tart. Check out the beautiful colors! It would be really fun to make a “spectrum” of pops using different citrus, as this author has. Stepping up the complexity just a little bit, here’s your homemade “creamsicle” pop! It’s a classic for a reason. These coconut-blood orange pops are so gorgeous and sophisticated. 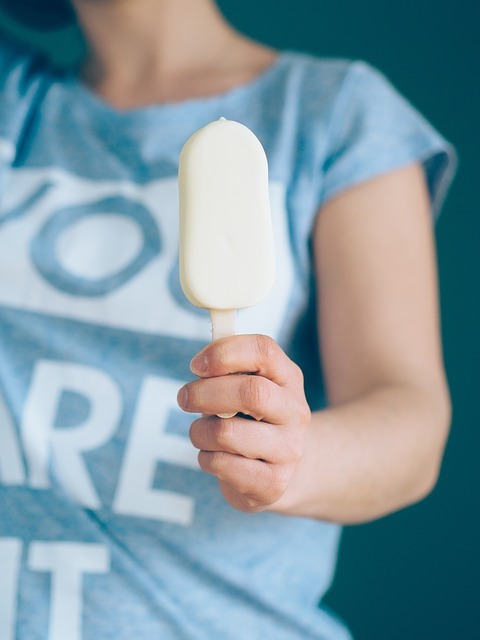 If you haven’t tried a popsicle using coconut milk, you have to—it’s an amazing ingredient, and also allows vegans and the dairy-intolerant to enjoy a creamy pop! This simple, nutritious pineapple-orange-banana popsicle uses the whole peeled orange and is completely free of added sugars (and guilt). The taste is tropical paradise. Wow, this Honey-Roasted Grapefruit Pop is so unique—I can’t even quite imagine it, but I’d love to try it! Though the recipe author used nondairy yogurt, you could certainly use regular yogurt as well. This fun recipe for citrus-basil mojito pops includes lime and lemon juice and mint and basil along with freshly squeezed orange juice. You can include or leave out the rum, depending on who you’re making them for. 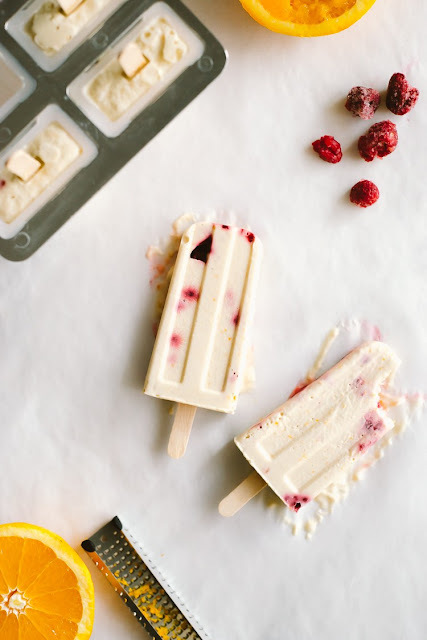 Here’s another coconut milk pop, this one featuring the vanilla-orange flavor along with fresh raspberries! Those are all absolute favorite flavors of mine—I’m really going to have to taste-test this one. Ready for advanced pop making? Check out these gorgeous multi-color striped juice pops! You could easily do these with a variety of citrus juices, maybe including a few other colors and types (cranberry or pomegranate?) thrown in. Now THAT is some impressive at-home popsicle wizardry. Pop-making really is a very simple way to make healthy hot-weather snacks that still feel like a treat. Enjoy the simple pleasures of a fresh homemade popsicle with your family this summer! Images copyrighted to the blog authors who generously gave us permission to use them in our post!